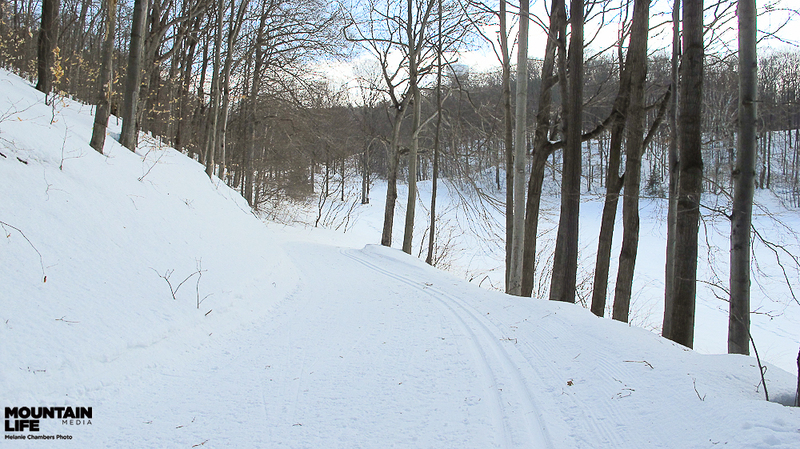 Horseshoe Resort’s Nordic trails. Photo by Melanie Chambers. “Pretend you’re driving a bus.” Bill, I cannot drive a bus. I’m on cross country skis. Sitting back in a squat position, hands out front steering ‘the bus,’ humouring my Olympian coach, I drive the bus down Wolf Run – a multi-switchback hill. One sharp turn and the steering wheel is on the floor. “Sit back! Drive the bus, Melanie!” Sticking my pole out to the side, digging it into the ground – another Bill-tip – slows me down considerably. Dry mouth and heart thumping, the bus made it without a smash up. Bill Trayling, Director of Sports Development for Horseshoe Valley Resort, is giving me tips about how novices – like myself – make work for ourselves. “Beginners often make a lot of inefficient moves.” Explains the exhaustion. Bill is a former National Kayak Team member in two Olympics and seven World Championships and is also proficient in dragon boat, adventure racing, triathlon, outrigger canoe and stand-up paddleboarding; when do you find time to eat, Bill? He’s also an attentive coach on the hill as he attempts to correct years of my bad ski habits. “Bring your poles back – putting them up front of your heels you’re actually working against yourself.” The next day when I ski alone, I try pushing my poles from the back of my heels. Sure enough, one slight adjustment and I’m gliding faster than ever. Olympian Bill Trayling. Photo by Melanie Chambers. 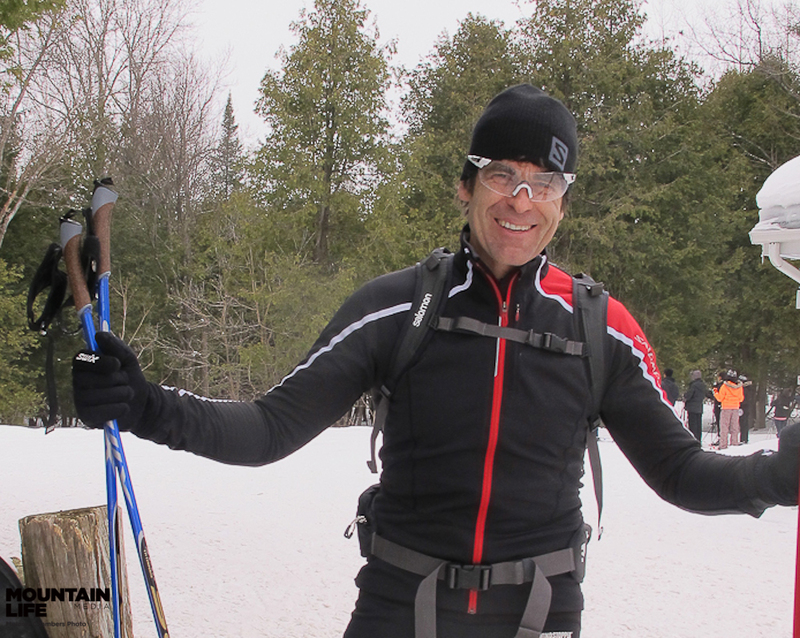 Skiing the nordic trails at Horseshoe – about 40 kilometres – it’s easy to do loops and offshoots and never repeat the same one. Trails veering off into the woods also reveal how some adventurers make their own paths. It’s also easy to get lost, if you don’t pay attention. The day I went alone, I added an extra hour onto my ski; I felt like Clark Griswold in European Vacation when he gets stuck in a roundabout: “Look kids, it’s Big Ben.” Another loop: “Look kids, it’s Big Ben.” I’m back to the starting point: I am Clark Griswold. 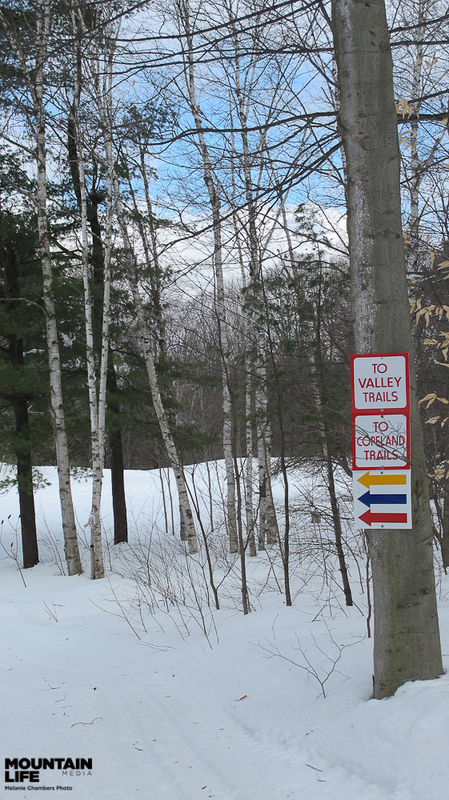 The trails are set in the Copeland Forest to the north, and the Valley Trails to the south. Horseshoe Valley Road dissects the two sections. 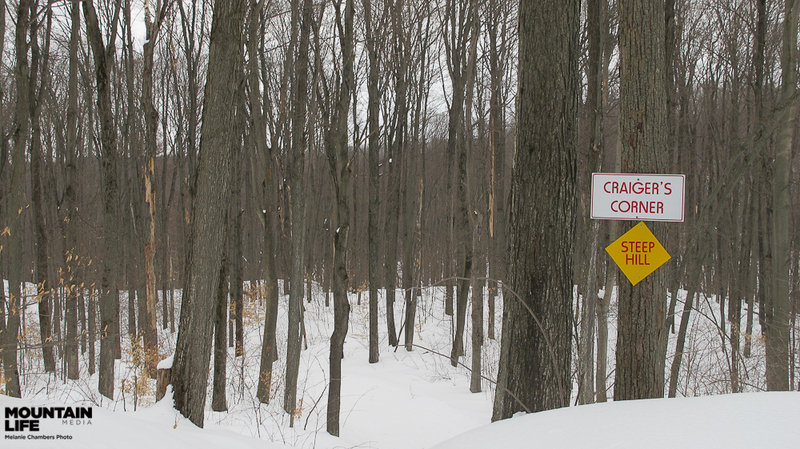 The Copeland trails are set on over 4,400 acres of gorgeous rivers and birch, evergreens, maples; however, on some trails, Medonte Heights on the north trail section, all those lovely tree needles and falling leaves wreak havoc on skiing – if you hit them while going too fast, it stops you cold. Not that I did this. Ever. Swooping valleys also make for some great hills; I’ve yet to conquer The Wall and Guenther’s Grind, but I did practice riding the bus all by my lonesome on Terry’s Test. Time for more coaching – back on the bus, Chambers. HORSESHOE OPEN 2014: happening from March 7-9, The Horseshoe Open is Ontario’s largest ski and snowboard festival. This March Break festival hosts some of North America’s best skiers, snowboarders, junior riders, DJ’s, concerts and the coolest Pro Rider after-party of the year! Registration is now available online.